I first met Jenna about ten years ago, maybe more, when I played softball with her younger sister. Over the years we have stayed in touch, and when she started dating Matt is was obvious how truly happy she was! 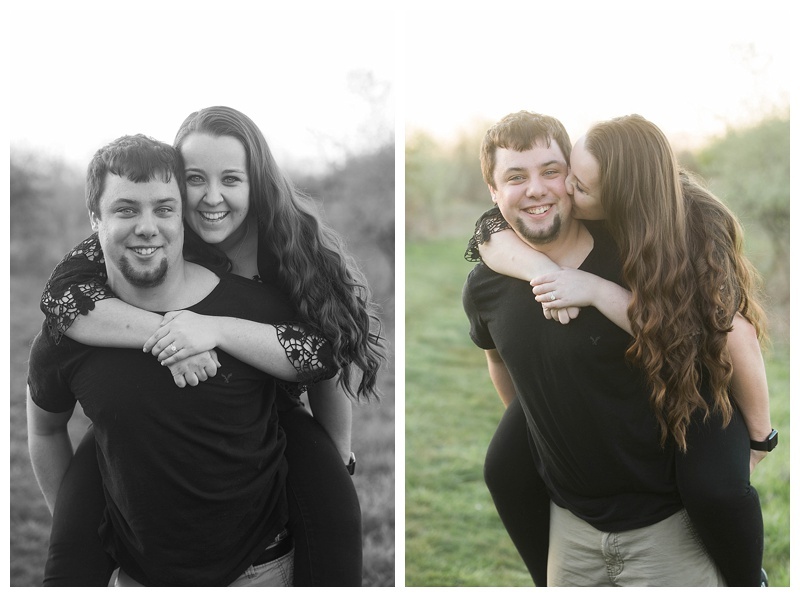 This is what made having the chance to photograph their engagement session so special to me! 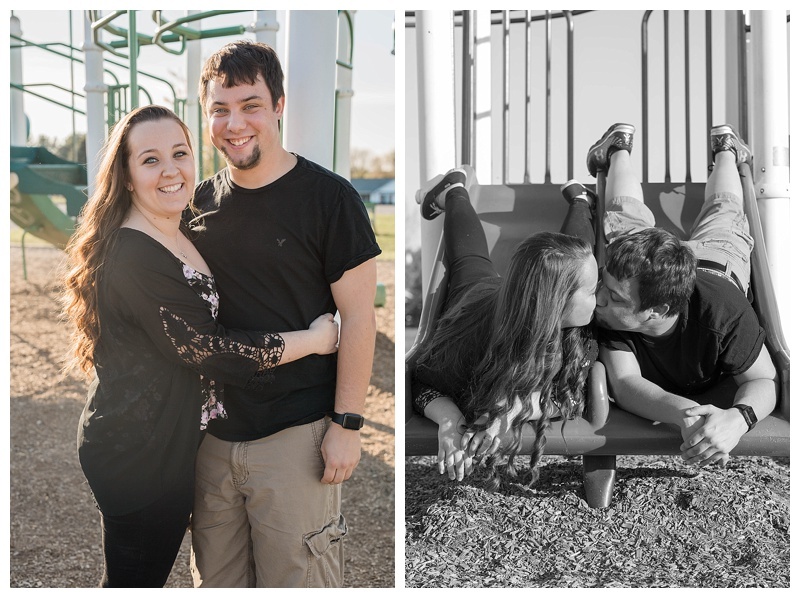 Matt and Jenna learned not long after dating that they had also known each other for a long time as well, turns out when they were kids they used to play together on the playground, so we returned to the playground to capture a few photos while playing on the playground again! We followed that by catching the sunset at a park that Matt just so happened to spend time at for track practices in high school. 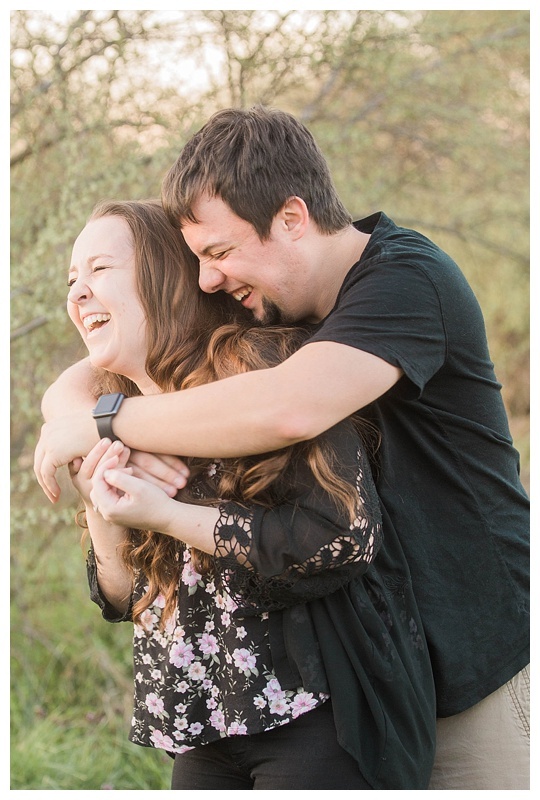 Their session was filled with laughter, and happiness and it was so contagious! Thanks for being awesome Matt and Jenna! Less than two months til you’re married! Congrats! 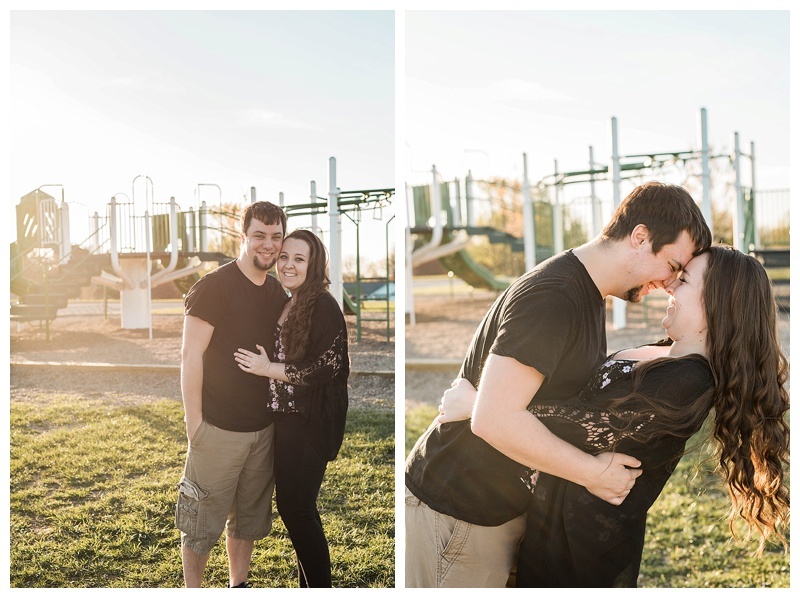 What a cute engagement session in eldersburg, that sunset looks amazing!